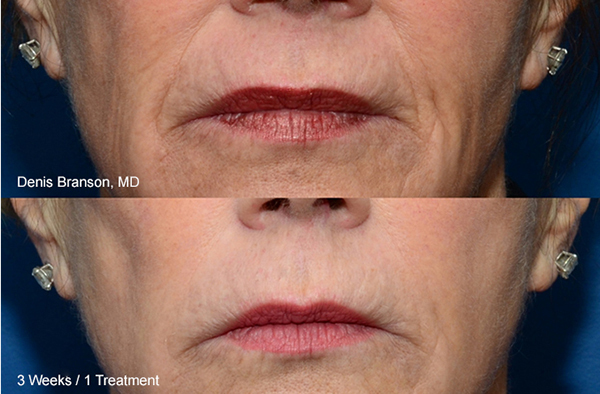 ThermiSmooth safely and comfortably tightens aging, sagging, or wrinkled skin and is a non-invasive procedure that can help you achieve a more youthful look. Using targeted radiofrequency energy, ThermiSmooth heats up the skin of the target area. The ThermiRF system is unique in its ability to constantly sense and adjust to the temperature of your skin. The result is a very comfortable treatment session that, for most people, feels similar to a warm massage. The ThermiRF system works well on many different areas around the body. The ThermiSmooth procedure is great at dealing with wrinkles and texture issues on the face.